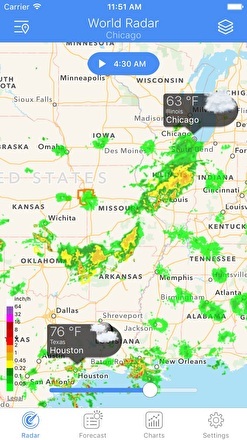 NOAA Radar is the most complete, reliable, and stunning weather radar app available. NOAA Radar combines all available weather information is shown into a very elegant (and logical) interface. This app is easy to use. 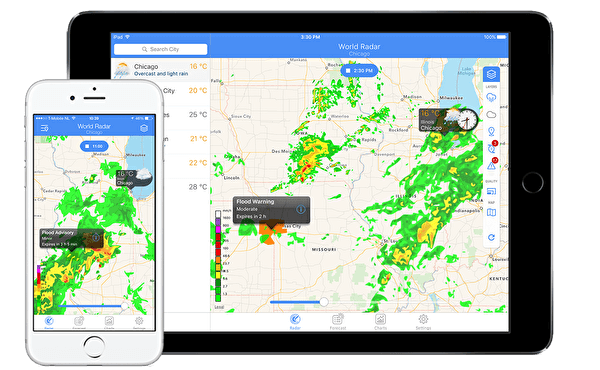 NOAA Radar provides you with accurate charts concerning the development of the most important key weather-related values in any location you wish, and lets you zoom in to see how they could impact you. This gives you a clear view of: Temperature, Precipitation, Wind, Pressure, and UV… and these charts can run anywhere from hourly to 10 days in the future. 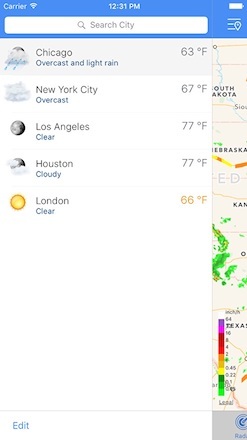 Find the detailed weather forecast of any location you'd like. Just search for the city, and add it to your list. This gives you worldwide Doppler Radar information in the palm of your hand. Stay on top of the hurricane’s development, it’s predicted path (and changes of such), how it can affect you, wind speed, wind quadrants, and much more. And the best part? All of this is visual! NOAA Radar is the fastest, easiest-to-use, and most up-to-date worldwide weather radar application available now. 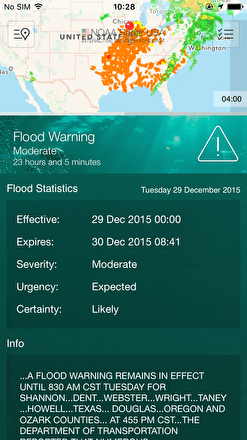 One look shows you the current weather condition, accurate forecast, and how it could impact you. And, of course, it shows you the moving radar on the map. Whether it is your location or some other preferred location worldwide, NOAA Radar has you covered. Rain, clouds, fog, hurricanes, tropical storms, thunderstorms, tornados, flooding, temperatures… it’s all there in one screen. 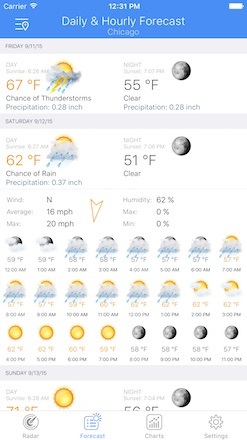 And detailed current conditions, daily and hourly forecasts, forecast charts and motioned radar images are one tap away. It’s a must-have.